It was back in 1979 that UB40 played their first public show at the Hare and Hounds in Kings Heath, a few stops on the number 50 bus from their old Balsall Heath stomping ground. It seems like every time we go there, someone is taking a photo of the plaque commemorating the legendary gig – an important early milestone on the road to becoming the biggest reggae band in the world. They’ve since sold over a hundred million records and spent eleven of the intervening forty years ACTUALLY IN THE CHARTS! Let that sink in for a minute. Now, fresh from a tour celebrating the 40th anniversary of their first public outing, the Birmingham icons are back with a new album, For The Many. It’s a vibrant, modern sounding record containing some beautiful, heartwarming love songs and shot through with the kind of radical messages with which the band initially made their name. We went to see the lads (minus Brian Travers, who was unfortunately ill) before their signing session at hmv in the Bullring, and we collared drummer James Brown for a wide-ranging chat about their humble beginnings, the new record, and some points in between. You’ve had a forty-year love affair with reggae. How did you all get into it? Were you all mates then? It’s a very fresh sounding album. It seems the split has given you a new lease of life? Talking of gigs, how has the new album been received by live audiences? Signing Off was loved by the critics, Labour of Love sold millions – what are you hoping for with this album? Has something about today’s politics inspired this? 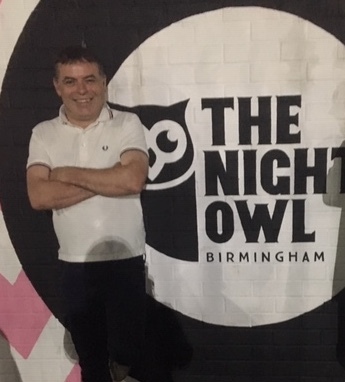 A lot of Birmingham artists achieve barely a fraction of your success and leave. How come you’ve never been tempted away? And yet the music itself travels so well doesn’t it? 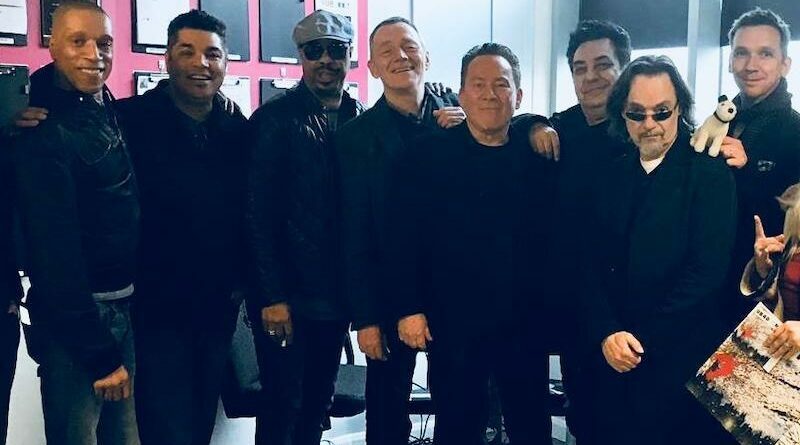 And with that the members of UB40 – supremely talented yet refreshingly modest, fiercely working-class yet absolute gentlemen – left to hear more cheers from the people waiting for them to sign copies of the new album. It’s been on repeat since we got it and if those adoring hordes want an authentic, thoughtful and pretty damned inspirational UB40 record, they won’t be disappointed. For The Many is out now.